Since my last post I've been thinking about all things Fall non-stop, despite the 100+ degree weather we've had. I'm trying not to be caught with blinders on this month! 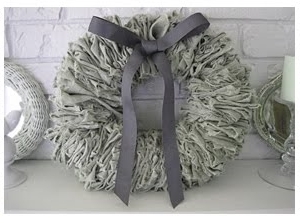 Linen Wreath from Beautiful Nest - am I going crazy with wreaths?! Over the weekend I dragged the whole family to my forgotten favorite store, The Dollar Store. I swear, every time I go there I come out with a treasure trove of goodies that cost, well, a buck. It's an amazing feeling to get so much for so little, especially when I had priced out very similar things at Michael's and it was going to cost an arm and a leg. Going to the park is yet another great thing about having kids! A few of the leaves are starting to fall and I picked up some beautiful yellow ones to start my Fall Tablescape decorating. The girls got a little annoyed when I started piling up leaves and things that they couldn't play with. Sacrifices for decorating! To get my craft-inspiration on the right track, I tackled a wreath that I saw a year ago - the Plastic Spoon Laurel Wreath. And relatively quick to put together, a little over an hour. I ended up putting my spoons much closer together than my inspiration, which I think is the reason it started to warp a bit. Hopefully you can't really tell. To top things off, it was fairly heavy with all those spoons and started splitting by the next morning. I ended up getting an extra bag of spoons, so I may attempt to make it again with fewer spoons. 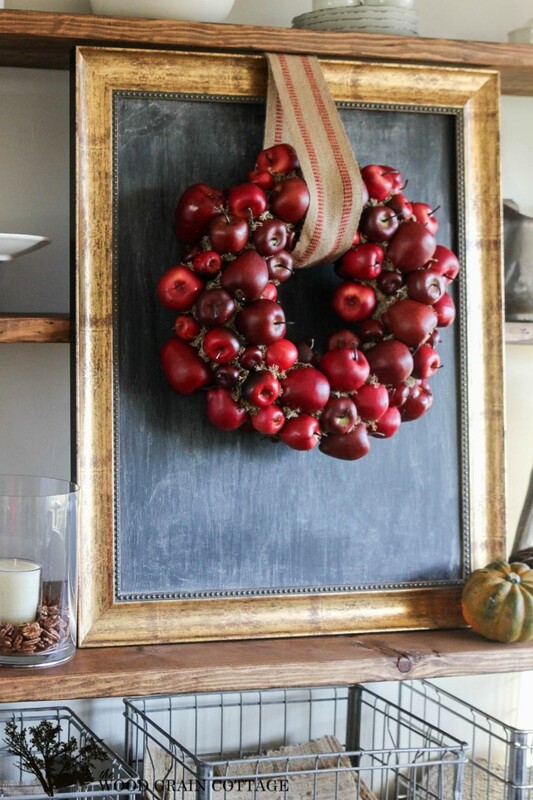 But all in all, its not too shabby for a plastic spoon wreath! Enjoy the beginning of fall, wherever you are and however hot it may still be.